Hey everyone! Its Jason again with another did you know! Today were talking about the Maleficent Dragon at the Magic Kingdom! 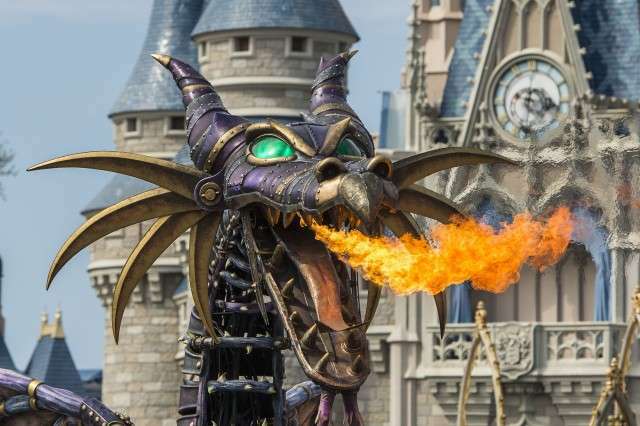 I have two cool facts about the steam punk inspired Maleficent dragon. Did you know that the dragon stretches 53 feet in legnth and stands 26 feet tall! Also Disney partnered with Tony award winning designer Michael Curry from Michael Curry Design to design the float! Michael has also worked on projects such as The Lion King on broadway, the Transformers charecters, and multiple Cirque du Soleil shows! Next Post Marlow’s Tavern Red, White, and Brew Summer!